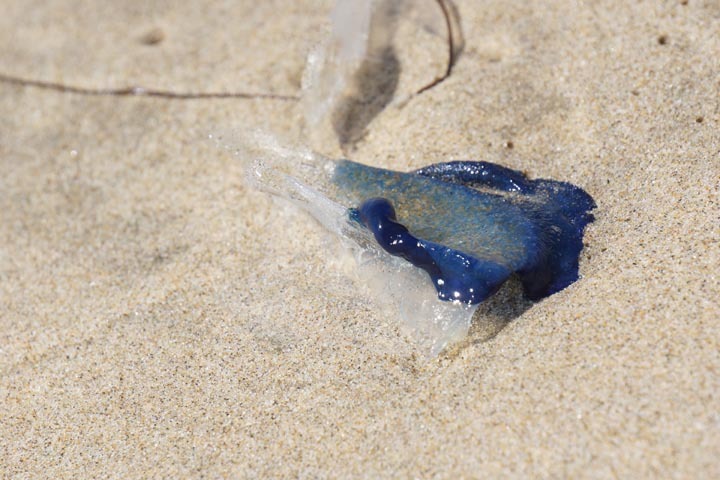 Spotted quite a few of these gorgeous jelly-like creatures during my walk along El Porto beach this afternoon. 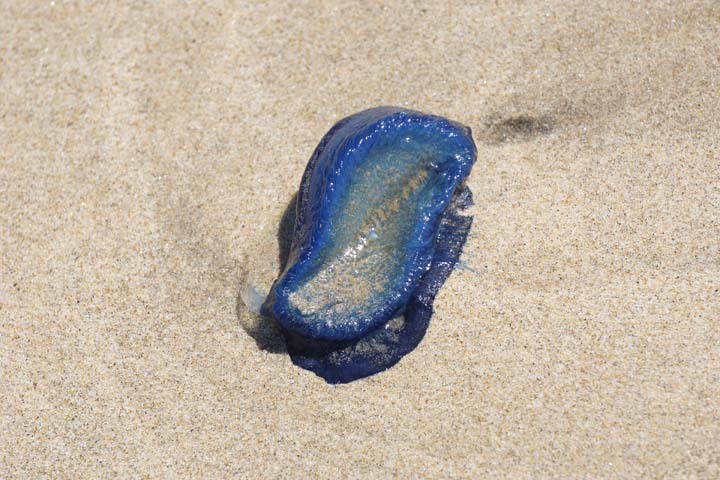 The Velella velellas are also known as “by the wind sailors” for their silvery fin, seen below. They were all over Huntington Beach the other day, and have washed ashore up and down the California coast.